This article will go over how to find all transactions have bee charged to your credit card or bank draft in your CaterZen account for variable fees, monthly fees, etc. 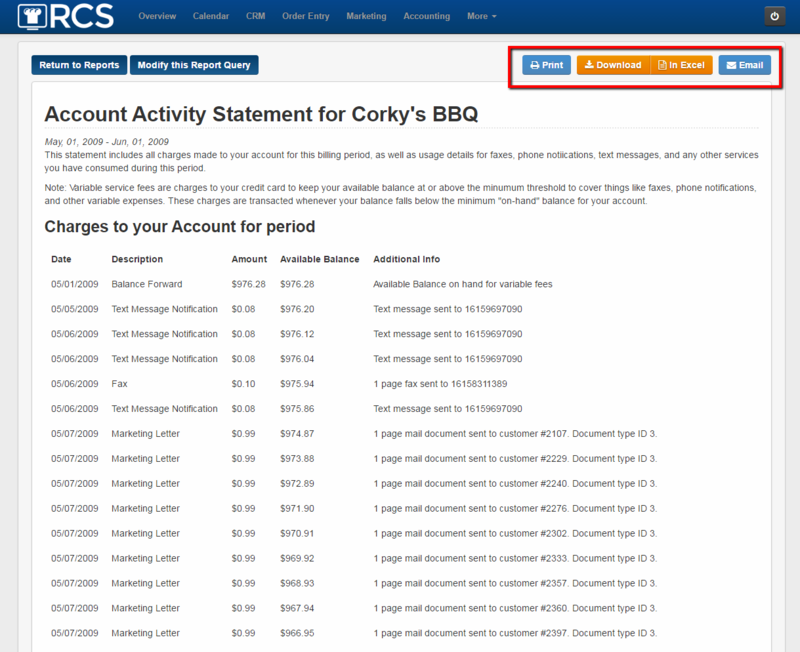 2 - Once you click on the Account Billing Reports you will see two links. The first link is the Monthly Statements link and then choose the Month that you want to see all the transactions that occurred in that month. Then click Get Report tab. 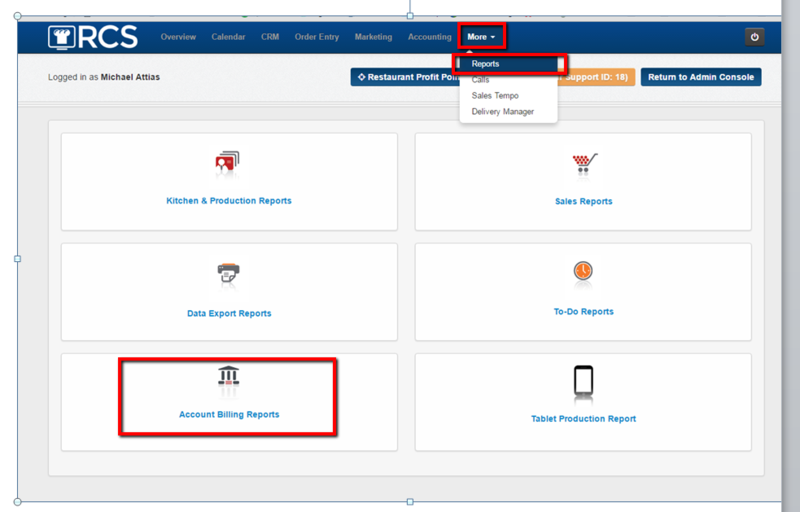 3 - Once you click on Get Report the system will take a second to pull up the report. Below is an example of a report. You will notice at the top of the page you have the option to Print, Download, Download in Excel and Email. You can now view any type of transaction that was deducted from your variable fee fund or charge the credit card or bank account on file.